Hirakawa Country club is located in Hirakawa-cho, Chiba city and 2 km from Nakano I.C. on Chiba-Togane Tollway. The site was originally opened in 1988 and reopened in 2005 with Nisshin Real Estate company as a new sponsor. 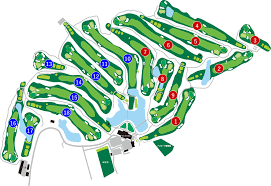 A course of 7,163 yards, par 72 with an overall flat terrain, a difference of elevation within 5 m. All the halls are separated by forests such as cedars and cypresses, and the layout is a fair course and wide parkland style, making it a full-fledged champion course for athlete golfers to enjoy the game. The Japan Women's Professional Golf Championship was held in 1993. Kokichi Yasuda was in charge of the course design. An orthodox course layout that takes advantage of natural terrain. In many holes, guard bunkers are strategically placed around the green and shots aimed at the green are required to be accurate. Bunkers and standing trees arranged around the green are placed in exquisite positions to enhance strategy. A long, long, unobtrusive, tough course design requires not only flight distance but also the technique to carry the ball in the target direction and the accuracy of the shot. There are 2 bent green. The greens also are very difficult to bothers players. Course maintenance is of high quality and the condition of the turf is good regardless of the season. Especially the goodness of green condition is a reputation. The practice facility is equipped with a 180 yard driving range and an approach/bunker practice area. The locker room is simple but solid and clean. It has a sauna and water bath for men and a jug bath for women, so you can refresh your fatigue after playing. 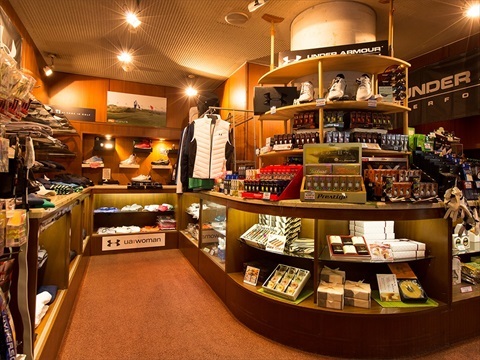 In the clubhouse's pro shop, we have a selection of our shop club original goods and various golf equipment, and Hirakawa original Sake, seasonal fruits and souvenirs are also available.